Luxury real estate developer Damac Properties has launched an exclusive collection of hotel spa villas in the heart of its Akoya Oxygen master development. The limited edition hotel villas come standard with a private garden spa, providing a choice of jacuzzi or sauna, and are fully furnished, in addition to being serviced, the company said in a statement. 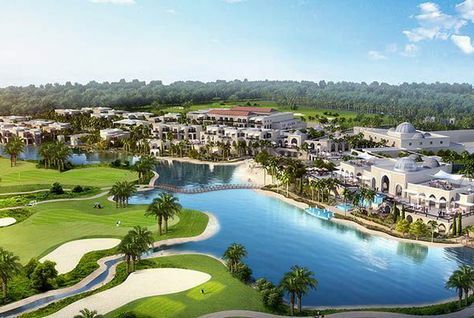 Prices start at AED1.7 million ($462,900) for the villas in Akoya Oxygen, which is a 55 million sq ft development on Umm Suqeim Road set around the Trump World Golf Club, Dubai, an 18-hole golf course which is being designed by Tiger Woods. Niall McLoughlin, senior vice president, Damac Properties, said: “The hotel spa villas at Akoya Oxygen are designed for those who seek serenity and relaxation in the most convenient location – their home.